For those in the market for a Spanish property bargain Santander, Spain’s largest bank, has sent a message that will have Spanish property fans sitting up and taking notice. 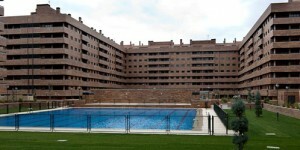 The huge Spanish lender has a surplus of property on its books, in fact, it has so much of it that it has in the past month alone, shaved more than €20,000 off the price of two bed apartments on its books in Toledo. The property was once a development of Spanish businessman Francisco ‘El Pocero’ Hernando, repossessed by Santander in 2007 and 2008 due to debts of almost €800m. In January 2012 this two bedroom property with storage room and garage cost €89,000. Fast forward just a month and the same property is now being sold for €65,000. This is for a property that first listed off-plan a few short years ago for a whopping €180,000. If someone is telling you there are no bargains to be had in Spain (and many agents there will tell you this without even cracking a smile) then it’s just because they don’t have access to the right property in the right areas at appropriate prices – they still want their pound of flesh from you – or they’re just plain lazy. Well it’s time to expand your horizons. All the action these days is to be had from banks who simply can’t get rid of stock that is dragging down their balance sheets fast enough. If you don’t believe me, Altamira which is Santander’s property arm, took up a substantial chunk of Spain’s prime real estate fair in Madrid (SIMA) this year offering discounts of up to 40% on property that had already been heavily discounted over the past few years. Here’s a Google Translation of an Article from Vivienda – it’s a bit ropey, but you’ll get the gist if you stick with it.